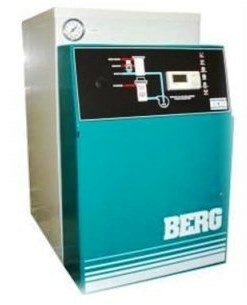 Temperature Control Units (TCU) | Berg Chilling Systems Inc.
Berg’s BTC Series water Temperature Control Unit (TCU) is designed to accurately maintain process water temperature to a desired set point. 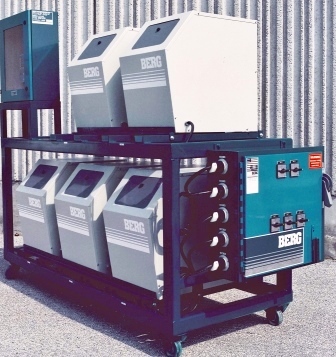 Temperature Control Units are commonly used in the plastics industry to hold part tolerance and reduce scrap by maintaining consistent process temperatures (injection moulding, thermal forming, blow moulding and extrusion processes). 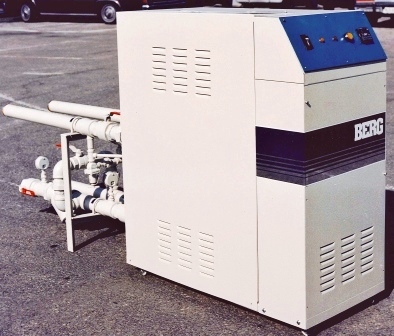 Our high quality water temperature controller is designed for easy operation and built to stand the test of time from rugged components. All our temperature control units come standard with a wide range of performance and reliability features, including an advanced soft touch control panel for easy, intuitive operation. 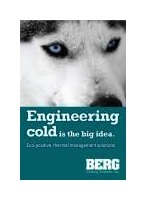 Plus, Berg can customize your temperature control unit with pre-engineered options or design fully custom temperature control units for your special application. 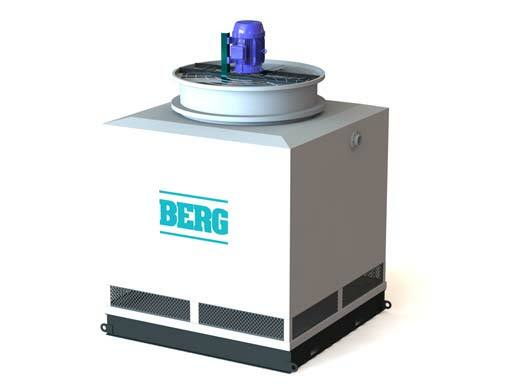 Berg Temperature Control Units are packed with high-quality features that make it easy to operate, ensure consistent water temperature, and operate reliably for years. 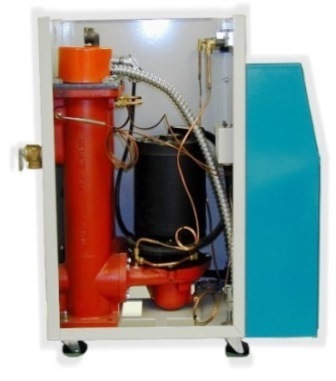 Long-life, low-watt density incoloy heaters (9-24kW) resist corrosion better than copper or stainless steel. 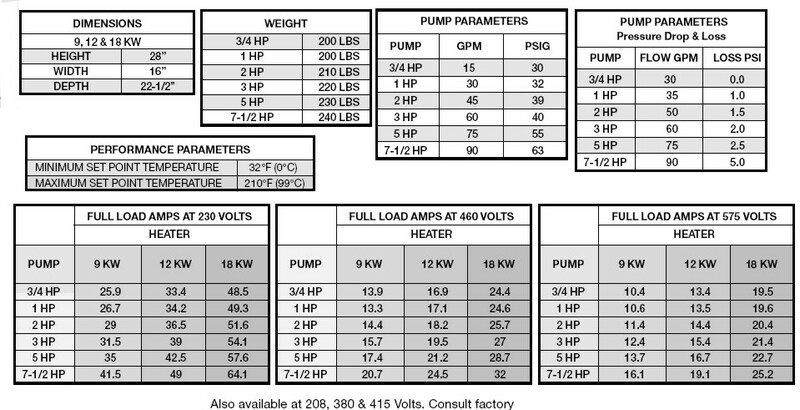 High capacity pumps (3/4 to 7.5 hp) come with bronze or stainless steel impellers for turbulent flow. 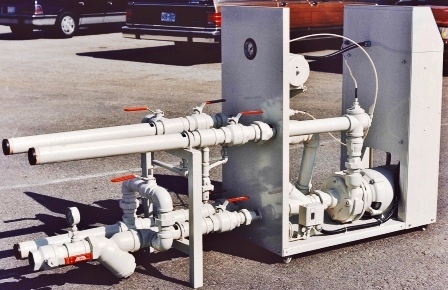 Bypass line protects heater and pump if process flow is shut off. Premium quality solenoid valve assures precise temperatures. Pump seal is made of leak-resistant, EPDM carbon-silicon carbide. 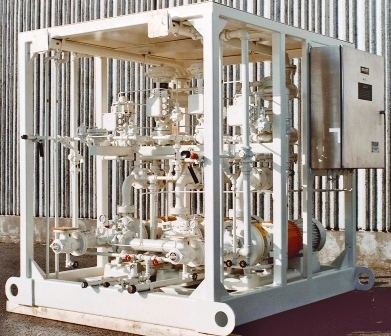 Multi zone water / fluid temperature control array unit with a multi functionally electronic programmable logic controller. For your specialized temperature controll unit needs, our experienced staff of sales engineers can help you with equipment design and modification.